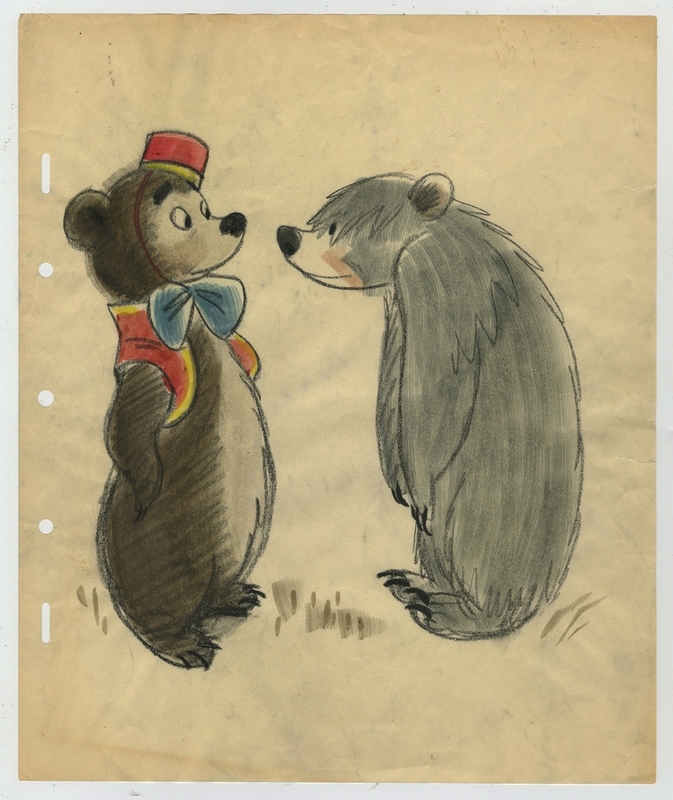 This is an original concept drawing from the Walt Disney Studios production of the Bongo the Bear segment of Fun and Fancy Free (1947). 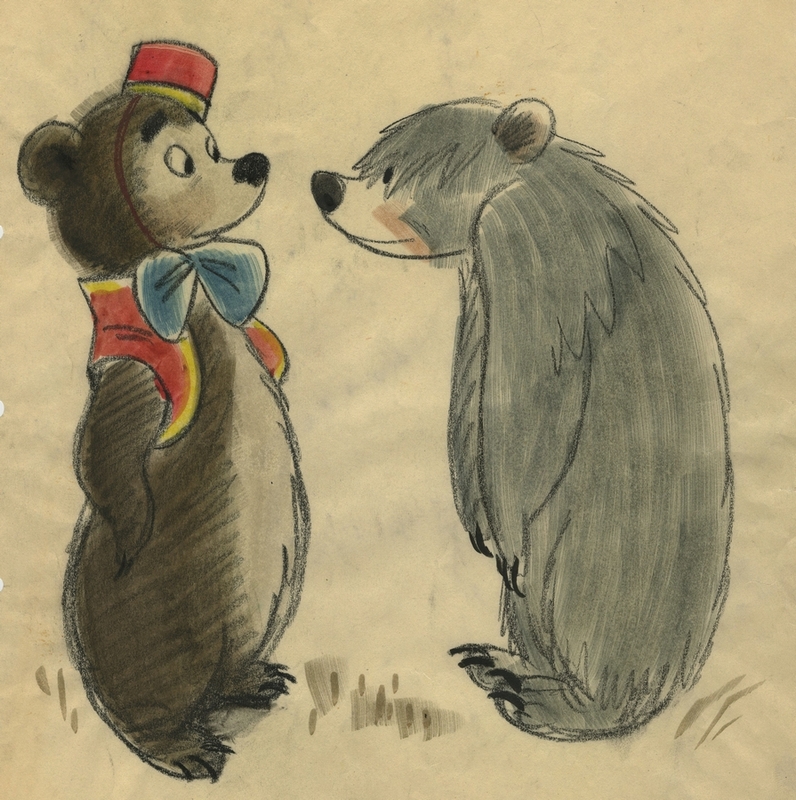 This pastel drawing features two impressive concept designs for the bears, including Bongo, done in a more realistic and less cartoony style, and was created at the studio and used during the development of the film. The overall measurements of the piece are 10" x 12" and the image area measures 8.5" x 7.5". The drawing is in excellent condition.